The classic W.O. 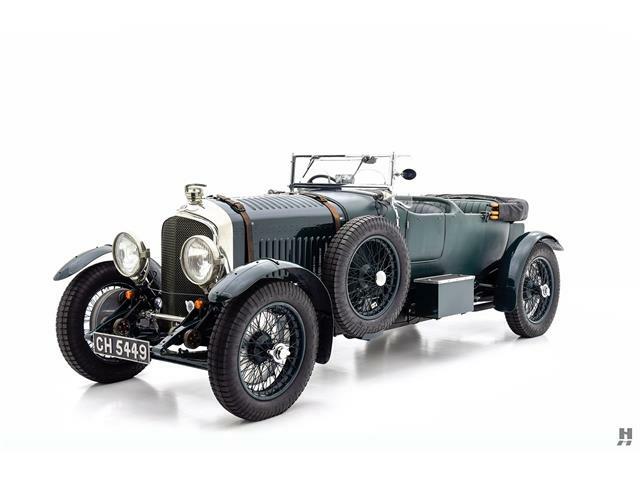 Bentley cars built from 1919 until 1931 are the ones that created the legend of Bentley Motors by winning five times the 24 Hours of Le Mans, including unparalleled first, second, third and fourth place finish in the legendary race in 1929. 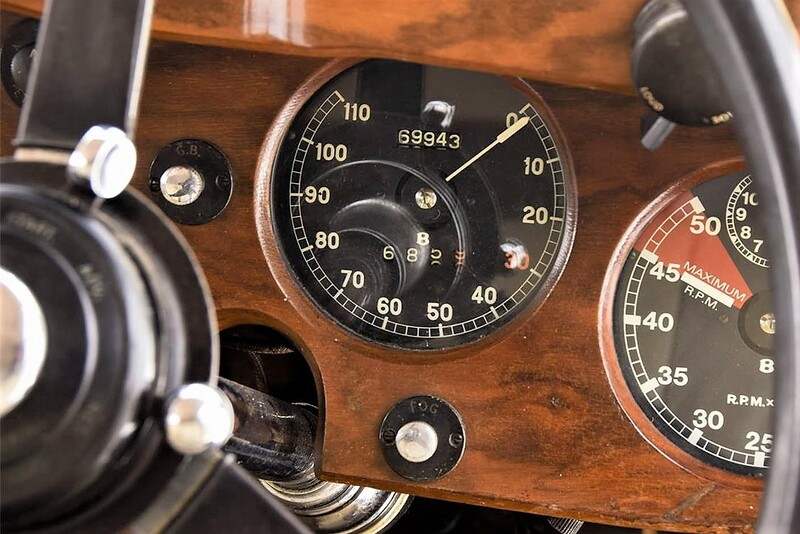 This epic history has made the first generation of Bentley cars some of the most desirable and expensive of British classic cars. This W.O. 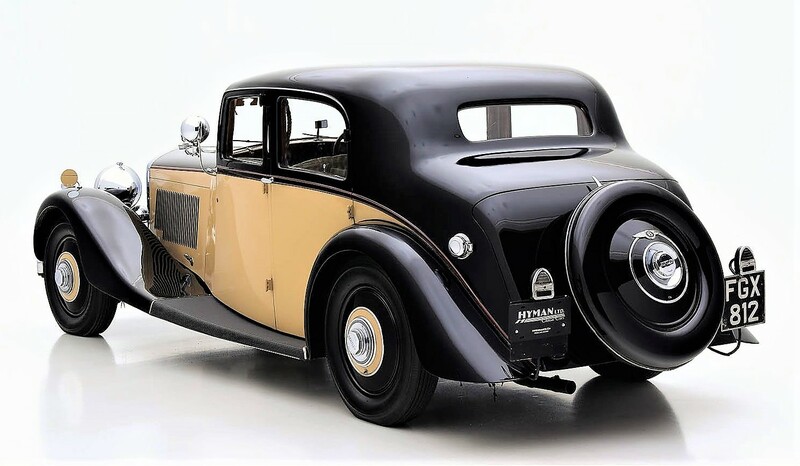 era was short, ending in 1931 when the company, despite its racing history and the high quality of the cars, went into liquidation and was acquired by one of their biggest competitors, Rolls-Royce. 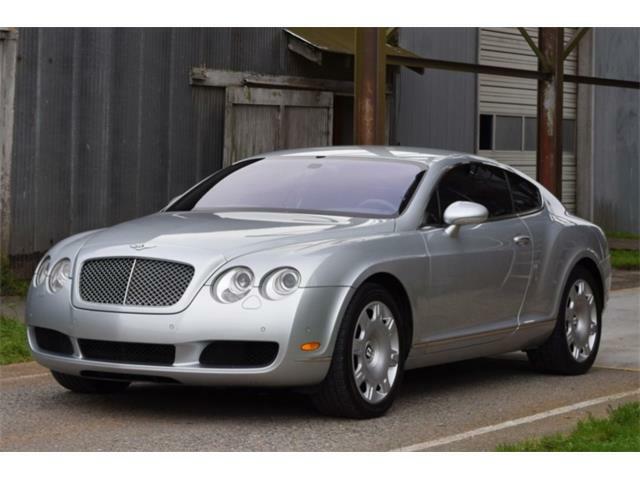 The Bentley brand did not disappear, though, with production of new Bentley motorcars started at the Rolls factory in Derby (pronounced “Darby”). 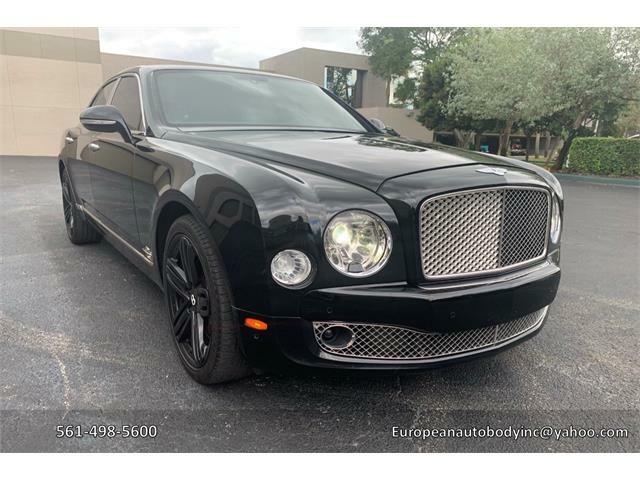 The new Derby Bentleys were very different cars, with a big focus on styling and comfort, turning them into more touring cars than a sports cars. The Derby cars were marketed as The Silent Sports Car by the factory, and while they were more luxurious, they still offered strong performance. 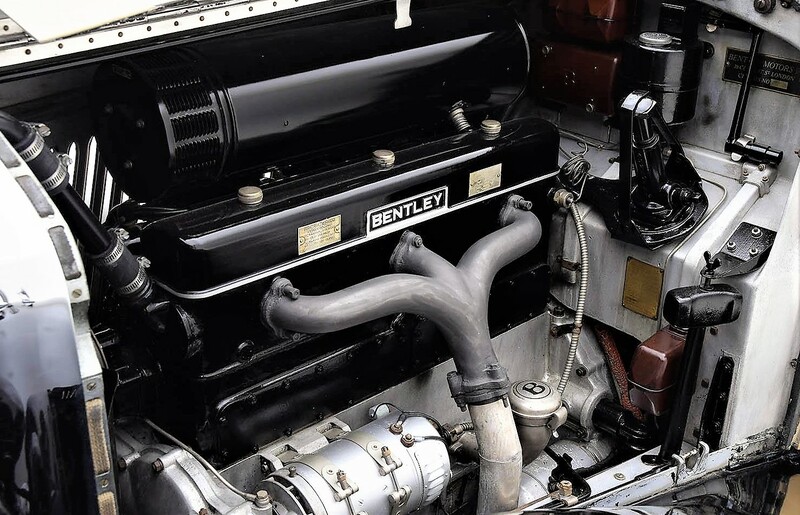 The new Derby Bentley cars utilized Rolls-Royce chassis and engines and were an early example of a badge-engineering. 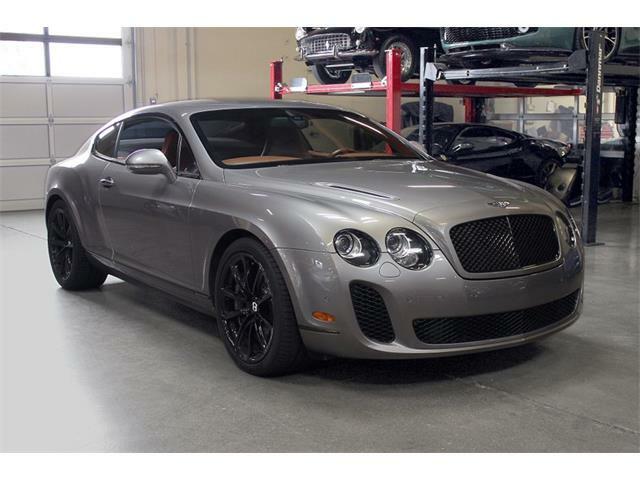 Some diehard Bentley fans did not approve of the cars, but the proof of concept was in the sales of the Derby Bentleys, which exceeded the original W.O. Bentley models. 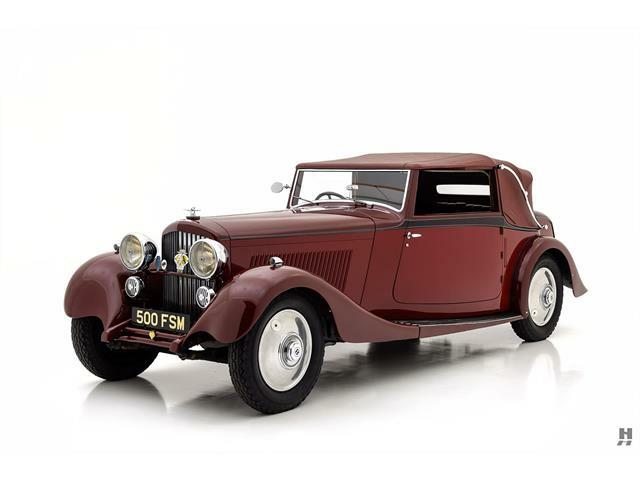 The Pick of the Day is one of the Silent Sports Cars, a 1938 Bentley 4.25-liter Park Ward Saloon advertised on ClassicCars.com by a classic car dealer in Saint Louis, Missouri. 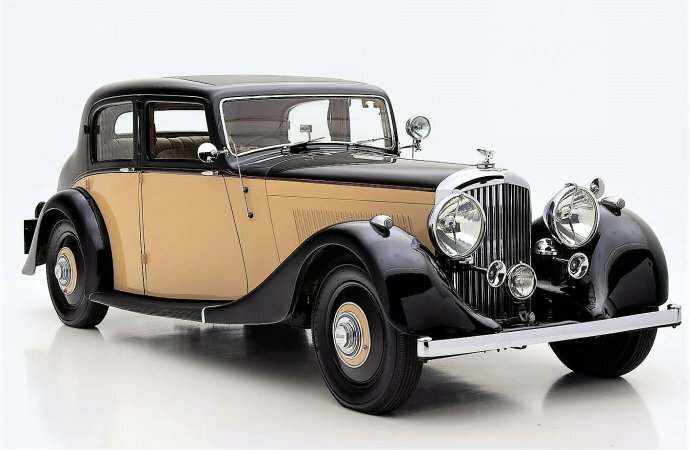 This Bentley 4.25 is a very good original automobile that has never required nor received a complete restoration, according to the seller. The car has been refreshed recently to a high standard, as the pictures depict. 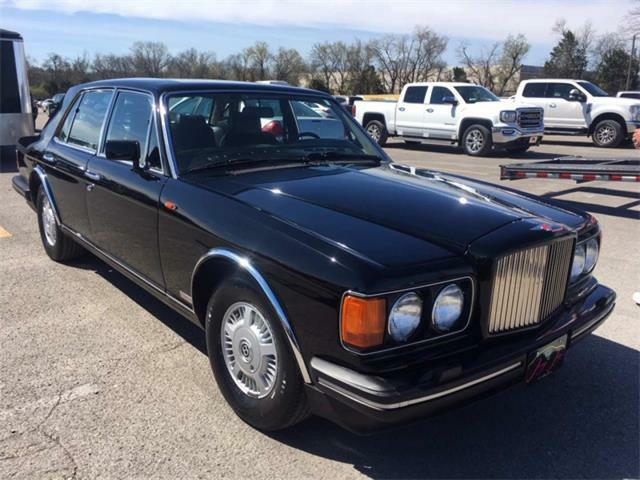 The exterior is finished in elegant black and tan paintwork and features a contrasting red coach line, with black fenders and full wheel covers. The seller discloses that this is older paint that shows some cracks and a few obvious imperfections that can be expected with age, but it has been polished to a bright shine that provides a splendid first impression. The condition of the interior is much the same as the exterior, though in even better condition. 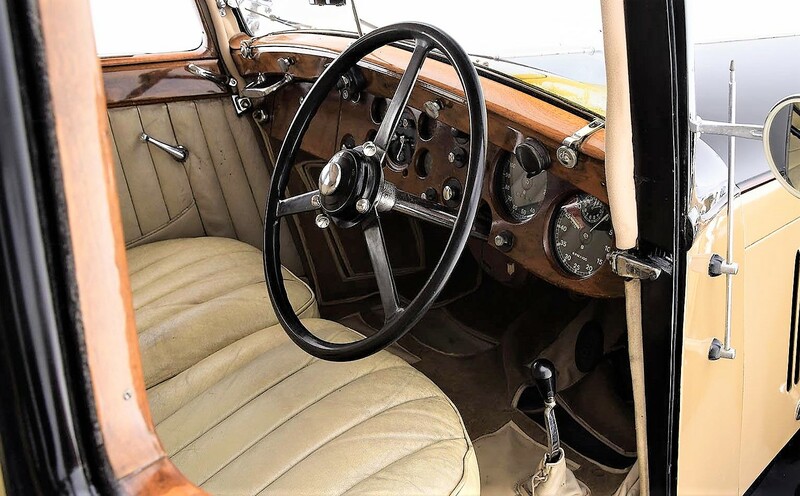 The bone-colored leather seats and door cards have been retained with all their patina, which the seller accurately states brings to mind a venerable British gentlemen’s club. The chairs look comfortably inviting, even though they obviously have been showing their age for some time; but they should be left original as they are quite serviceable as is. The headliner and carpet are new, replaced due to age. The extensive original interior wood is in nice condition and is completely free of cracks. This car also features a rare sliding metal sunroof, which opens over the front seat. The trunk is original and shows its age, but includes some original tools and a factory trouble light. 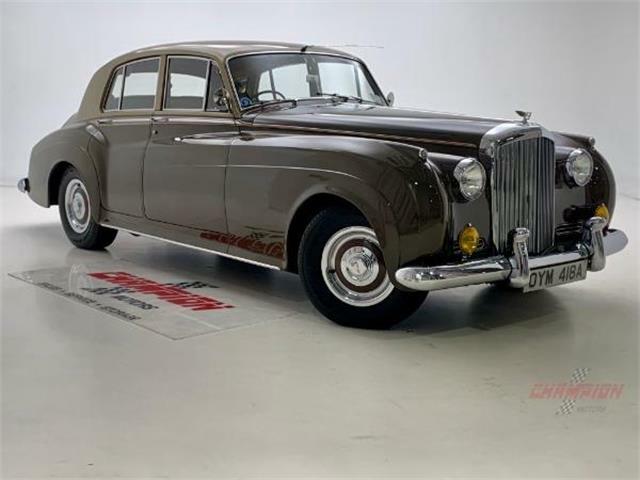 A nice small detail is an original sticker on the windshield that testifies to the fact that this Bentley participated in the 1967 International Rolls-Royce and Bentley Pageant at Goodwood. 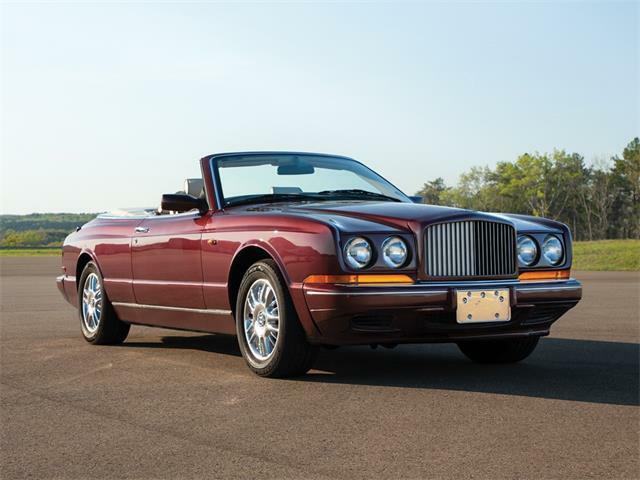 Classic Bentley cars that have never been apart or restored but simply well-maintained are hard to find, and a car that has aged this well, having an inviting patina, seems to attract much more attention than do completely restored examples. 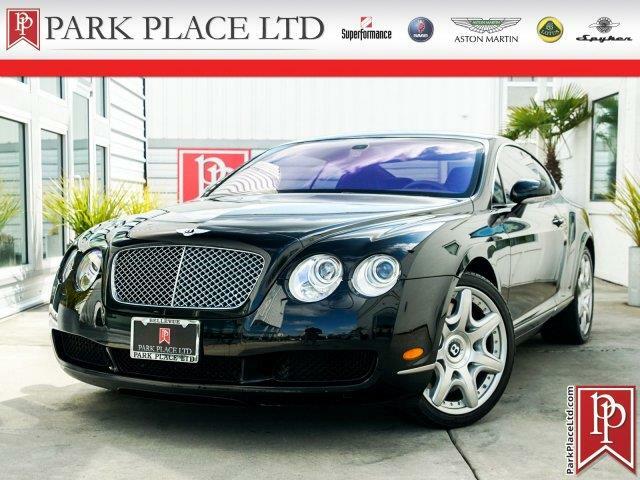 The asking price for this stunning and elegant Silent Sports Car is just $79,500, which offers quite a bit of coachbuilt British elegance for the dollar. All that patina and it’s a right-hand-drive/right-hand-shift car! Wow. Ready for the road.